Diamond Wheel Set includes ten 3/4 inch dia. 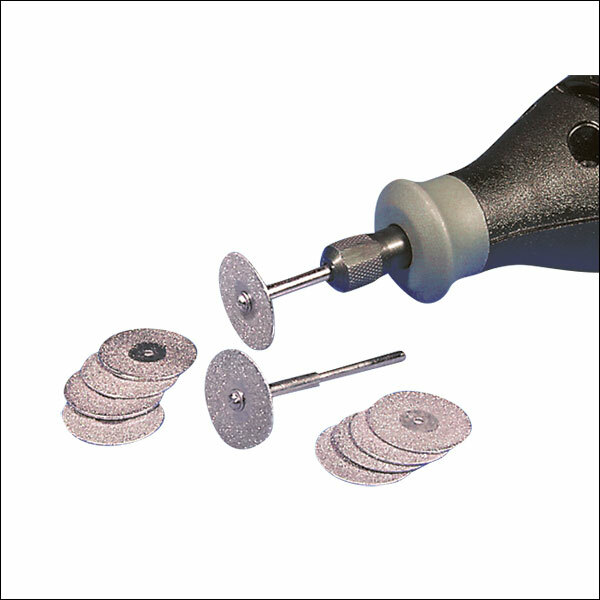 x 1/32 inch thick diamond-coated steel wheels and two mandrels with 1/8 inch shanks. Ideal for cutting-off or grooving extra-hard materials.